Julia's older sister Olga has been killed, hit by a truck while crossing the street. Now Julia is left alone with her parents and can't help feeling that their disappointment in her has grown even stronger. Olga lived at home even though she was in her 20s, with no plans to move out. She helped out around the house, cooked, and massaged her father's feet when he came home from the factory at night. This is not Julia, or the life she wants. She wants to move out and go to college and take care of herself and live her own life. Mostly she wants to get away from her mother's constant criticisms of everything she does and is and of all the ways she fails them and isn't as good as her sister was. But when Julia sneaks into Olga's room she finds some things that make her question whether Olga really was the perfect daughter everyone thought she was. Julia feels so alone, like nobody around her cares about the things she cares about or likes what she likes. She's really interested in literature and art and going to college, but her family and friends aren't. And she doesn't hesitate to speak out about how she feels and what she thinks, which gets her in a lot of trouble. She has a pretty abrasive personality sometimes, but to be honest I liked that about her. Unfortunately a lot of this is just an expression of how unhappy she is, and that really comes to a head in a way that results in her getting some much-needed help. As tends to be the case, her relationship with her parents was at least partly due to how little they understood each other. 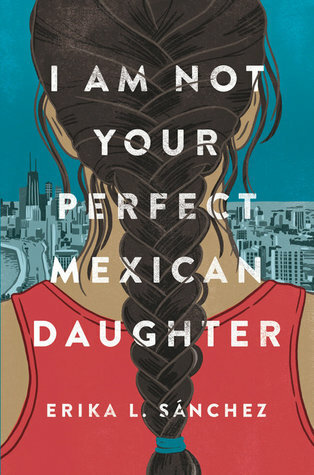 Julia had no idea what her parents went through getting from Mexico to the United States. And they didn't understand her, they only knew what they wanted for her. Interestingly, the daughter they thought was so perfect actually did not live up to their standards either, but her secrets were just very well hidden. I like the way Julia and her mother tried to get to know each other later in the book and be better to each other. My only criticism is that I found the dialogue rather stilted in parts. It kind of made me wish I had listened to the audio because perhaps it would have sounded more real. I read this for my book group at work and we had a really great conversation about Julia and her family. 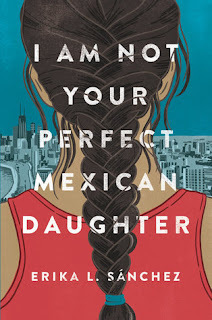 There's a lot to think about and discuss in this book and I'm curious to see what Erika L. Sánchez writes next.